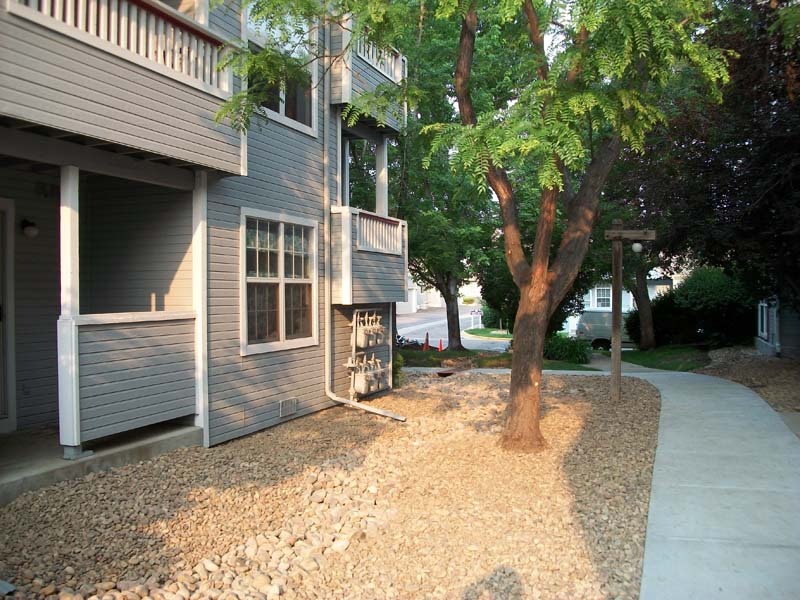 CP&M has worked with several multifamily properties incorporating Xeriscaping principles in concert with repairing challenging grading and drainage work. There are many misconceptions about Xeriscape. Many people think it is rocks and cactus or yucca, but in reality it is a method of landscaping that can be both colorful, low maintenance and, most importantly water saving. The information below is a compilation of information that we have gathered that explains the concept very well. We think it will be very informative and enlightening. Efficient irrigation systems, properly designed and maintained. 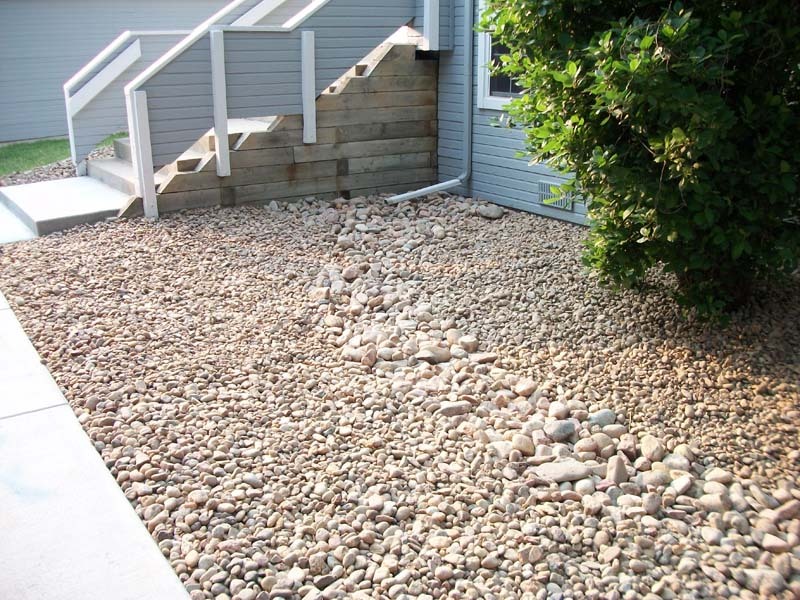 Xeriscapes can be divided into zones with different water requirements. An “oasis,” a zone with the highest water use, is usually where people spend more time. The patio area and perhaps the entry area are candidates for the oasis. An oasis receives more water and, as a result, is cooler. This area also may require more maintenance and usually will be the landscape’s most colorful area. “Found water” or “harvested water” that runs off roofs and paving during storms can be used to reduce the need for supplemental irrigation. Roof runoff can be directed to the oasis or other areas, drastically reducing the need for supplemental irrigation in the moderate- and low-water-use zones. Because water harvesting requires grading to channel and detain runoff, it should be planned when the landscape is designed. Mulch provides a cover over the soil, reducing evaporation, soil temperature, and erosion. It also limits weed growth and competition for water and nutrients. Landscape mulch materials vary in their suitability for various uses. Impermeable plastic mulch has a function in the landscape, but is very often misused. It may be used in areas where the soil must be kept dry, for example, next to a foundation where termiticides have been applied and where you are channeling harvested water from one area to another. One of the most controversial and misunderstood of the xeriscape principles is the concept of appropriate turf. Turfgrasses have a place in the landscape, even the xeriscape. Turf is easy to maintain, although it requires more frequent care than many other landscape plants. Turf provides a play surface for children and pets. It is an important element in cooling the local environment, reducing erosion, and preventing glare from the sun. Other ground cover plants can perform these functions–except providing a play area. Consider where and how large a turf area is desired, how it will be used, and during which seasons it will be used. You are then prepared to limit turf to useful spaces and determine which grasses will best serve your needs. In higher elevations of the state, cool-season grasses are best for areas used extensively as play areas, espec ially if this use extends into the early spring and late fall. Fescue or a fescue-bluegrass mixture is appropriate for these areas. If the use is light or mostly in the warmer months, use a grass that needs less water such as buffalograss, blue grama, or bermuda grass. If the area is only for appearance, other ground cover plants may be more appropriate and may be irrigated more efficiently. Choose the best plants for each purpose by carefully defining your needs and purposes before selecting specific plants. Xeriscaping offers a way to have beautiful, livable landscapes without excess water use. It allows areas close to us to be cooler and hospitable, while investing less water on parts of the landscape in which we spend less time. Even lower-water-use areas can be very attractive if the seven xeriscape principles are employed. 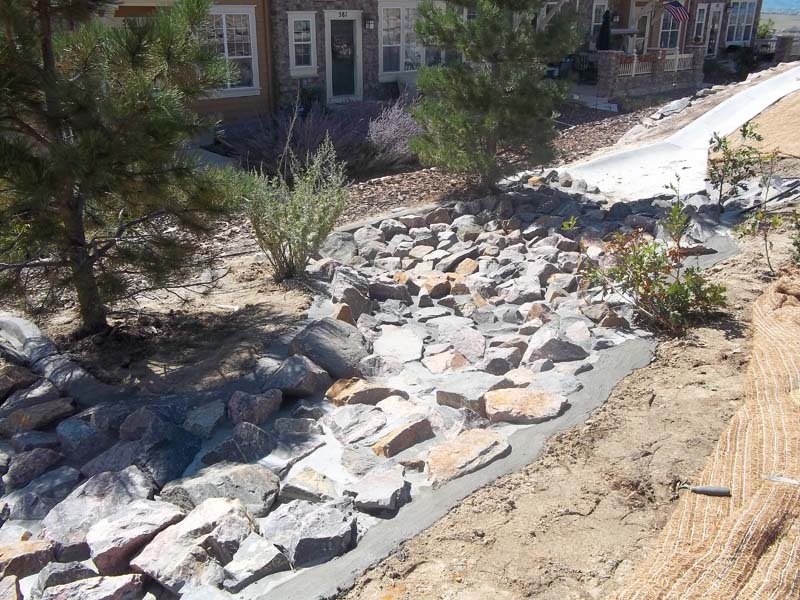 Using xeriscape makes our landscapes more compatible with our Colorado environment.